to see an increase in all types of activities. Most people choose to enjoy the pleasant Michigan weather with activities such as biking, walking, hiking, golf, and other family oriented pursuits. Criminals, however, also tend to seize the opportunity to be outside. During the warmer months of the year, the Sheriff’s Office will respond to more reports of larceny, many of which can be prevented. One of the most common types of criminal activity that we see is larceny from automobiles, open garages, and unlocked buildings or sheds. Nearly all of these types of crimes can be prevented. Many times when we respond to a report of a larceny from an automobile, we have multiple reports for the area in which the crime occurred. The common method used by criminals committing these types of larcenies is simple. The criminal will simply walk around the area or subdivision and attempt to open the door of a vehicle. They will continue to do this until they find an unlocked vehicle at which time they will proceed to go through the vehicle to look for valuables. We tend to find that criminals are looking for things such as cell phones, computers, loose change/cash, purses, and other items that can be easily taken and carried away. This also applies to open garage doors and unlocked sheds where access can be easily gained and items taken quickly. These types of crimes are not entirely preventable as some criminals will force entry into a vehicle. However, the vast majority of these crimes occur because the vehicle, garage, or shed was simply unlocked. I ask everyone who takes the time to read this article to please take the extra effort to insure that your vehicle, garage, and shed is locked. If you are heading to bed and cannot remember if you locked the car or shut the garage please take an extra minute to double check that your property is protected. Additionally, please do not leave valuables in your vehicle. If you do forget to lock the vehicle, at least you will not have to worry about losing valuable property. This article is not intended to imply that a huge crime wave is coming. 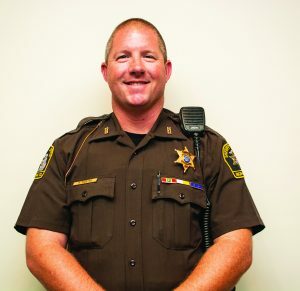 Delhi Township is a great community with some of the best residents in Ingham County, many of which are more than willing to help their local law enforcement and neighbors. If your subdivision does not already have a neighborhood watch program, please consider setting one up. I ask everyone who is willing, get to know your neighbors and look out for each other. If you see something that looks suspicious please do not hesitate to report it. As always, use 911 in an emergency situation. MSUFCU is coming to Holt! Come see the new and improved…Holt Fest! Do you know what’s happening in our community? Let us know! © 2017 – Delhi Township OurTown – HOLTNow!